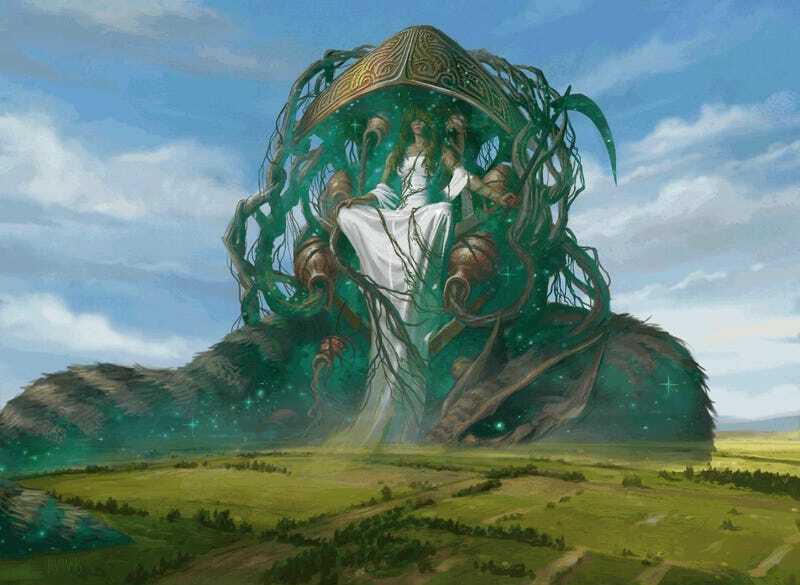 The latest Magic: the Gathering expansion, Born of the Gods, will be released this weekend. When gods walk among mortals, it makes for some amazing art, which you can see in this Born of the Gods art gallery. Born of the Gods continues the Greek mythology themed story from the previous set, Theros. There are even more gods, and they seem to be getting even more powerful. The set includes some new mechanics, as well — my personal favorite is Tribute, which allows your opponent to "pay tribute" and give a creature a bunch of +1/+1 counters when you play it. Why would they do this? To avoid some other nasty effect that happens if tribute is not paid. Decisions, decisions.